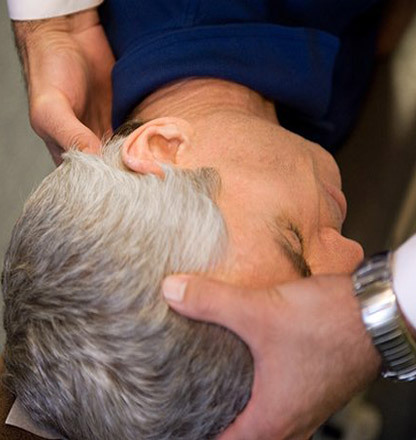 NUCCA is a specialty field of chiropractic. 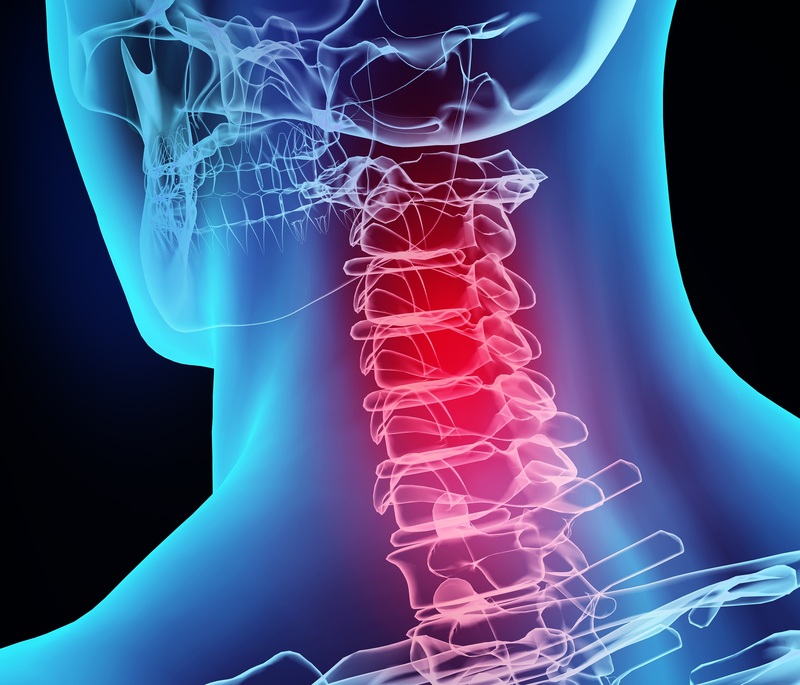 The NUCCA treatment is a safe and painless spinal correction, without twisting or popping, where the head and neck meet the first vertebrae called C1. The atlas vertebra is the most freely moveable vertebra in the spine since it is the only one which is not held in place by bony locks. is the first vertebrae that meets the brain stem/spinal cord where the body’s communications center passes through. Any kind of stress, tension or pressure on the brain stem can block or impede the flow of the vital messages of the brain/body connection - just as putting a clamp on a water hose impedes the flow of water. By correcting the atlas (C1) alignment the central nervous system (brain and spinal cord) will be aligned. When an atlas is subluxated (out of alignment), it affects the entire nervous system, and can cause the spine and pelvis to be distorted from its true alignment because of the contraction of the spinal muscles. A NUCCA adjustment to correct the subluxation will start to restore spinal balance and muscle control, providing a free and clear nerve pathway to all parts of your body. Chiropractic and medicine both agree that every single body function, regardless how large or small, are controlled by electrical and chemical messages that travel back and forth from the brain to all parts of the body at the rate of thousands of messages per second. Your head is approximately 10 to 12 pounds in weight - similar to the weight of a bowling ball. Now think of this bowling ball sitting on your neck and visualize it being tilted to the right or left. All your nerve pathways travel through C1 to and from your brain. If your head is sitting on the first vertebrae incorrectly your brain will be unable to properly send and/or receive nerve impulses to your entire body. This diagnosis can be misinterpreted, but it is due to the subluxation of the neck and head. Pain killing drugs are often taken as a temporary relief to mask the pain but that is all it does. It does not correct the root cause or rectify the problem. A thorough health history examination will be given checking for past traumas, accidents, surgeries, injuries, etc. that could create an imbalance and subluxations to your spine. The tests listed below will give Dr. Stewart a history of you and how your individual treatment plan will work. Dr Stewart will be using an anatometer which will require you to stand on a metal platform to check posture imbalances, pelvic distortion, head tilt, and unequal right/left leg weight bearings. He will also be checking weight imbalances and a neurological examination. A supine (laying on your back) leg length check will reveal disparities in leg length caused because of hip rotation. You will be asked to turn your head to the left and then the right which will reveal a shorter leg if you have a cervical subluxation. Often my patients tell me that their doctor told them that they were born with a short leg when it is cause by pelvic hip muscle contractions. This is commonly known as “Short Leg Syndrome”. In order to ascertain the individual’s misalignment and to determine the necessary adjusting procedure, precision X-rays are taken and analyzed by the doctor. 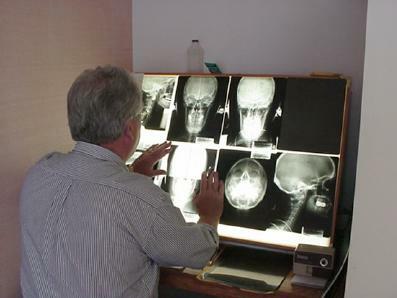 Dr. Stewart will take three or four very low dosage x-rays of your neck and head, evaluate and report to you his findings. The detailed X-Rays are very important to a successful healing. The greatest stress on your nervous system occur on your brain stem (C1 – Atlas). He will further develop a treatment plan specific to you. You may or may not be adjusted after the initial x-rays. This will depend on the complications found by the x-rays that may require more in-depth evaluation/computation to establish an adjusting vector for NUCCA Care protocol.